Lock in a great price for Le Marquis De La Guintre – rated 9.1 by recent guests! This hotel surpassed all my expectations! 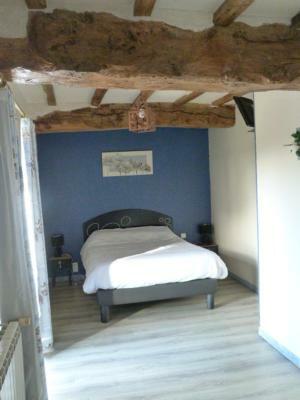 It is located in the beautiful countryside and has a view of the lovely Mont Saint Michel. The room was very large, comfy, and clean. The location is an absolute best! I could not have asked for any more accommodating hosts for this superb hotel. They went above and beyond ensuring I had the best time possible. For an experience of France through the eyes of locals & to enjoy coffee as only the true French know (as in drinking Morning coffee from a bowl!) I cannot more highly recommend this hotel of culture, class, and excellence. Bed was really nice foam mattress. No back pain in the morning! The host was so friendly and kind. We felt like at home. Breakfast was great and delicious. 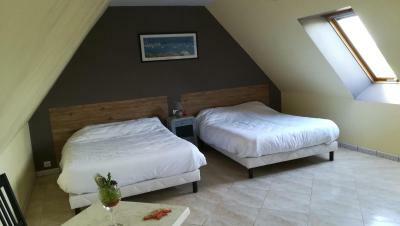 The room was comforble, clean and with a great view of the Mont Saint Michael. 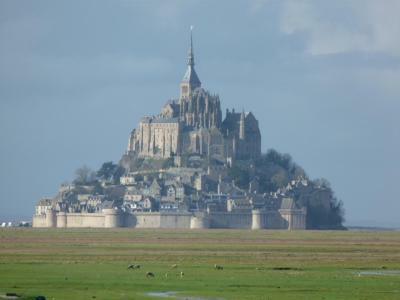 Best location to Mont-saint Michel! Delicious warm home-made breakfast was served by the host even if we had to leave the property early in the morning at 7am. Very attentive & sympathetic owner, trying her best to make you as comfortable as possible during your stay. Heating was broken while we were there, and she had already placed electric heaters in the room and were very sincere in their apologies. 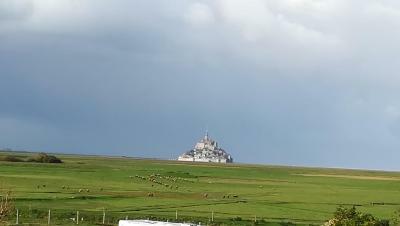 Nice view of Mont Sainte Michael from the distance. Big room. Friendly staff. She tried her best to explain and informed us everything about the property and tourist attraction nearby in english. Good food. And you will got the real french breakfast. Staff, location and reasonable price. Also good steak from the owner’s farm for dinner and a very delicious crepe as breakfast! Very friendly staff. 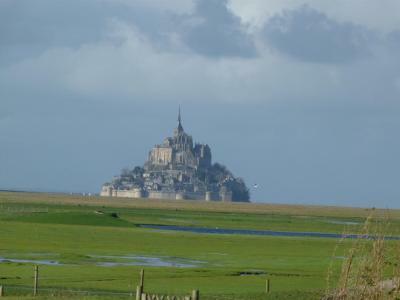 They welcomed us very warmly and made great recommendations of places to visit in Normandie. We had a very good dinner from their barbecue, and the breakfast was great. 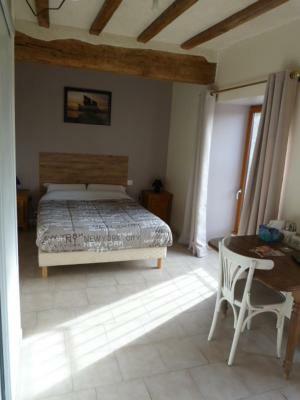 The location is amazing, in a very quiet countryside area with farms, only 10 minutes away from Le Mt St Michel parking area. Room is OK, quite spacy. 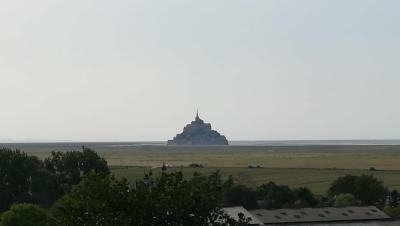 We were in the 2nd floor and our room had roof windows with great views of the surrounding area and also of Mt St Michel. 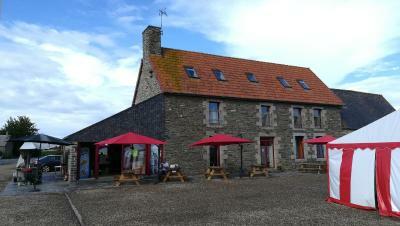 Delicious breakfast of crepes, very friendly hosts, easy drive to Mont St Michel. Room was spotless and clean, lovely shower. No restaurant on site, but host has good restaurant recommendations in various price points for venues in nearby villages. One of our top picks in Courtils.Located in Courtils in the Basse-Normandie region, Le Marquis De La Guintre provides accommodations with free WiFi. Le Marquis De La Guintre has a sun terrace. 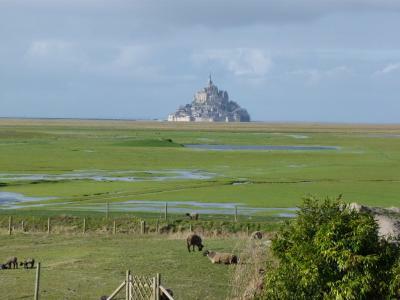 Le Mont Saint Michel is 7 miles from the accommodation, while Cancale is 31 miles from the property. The nearest airport is Dinard Bretagne Airport, 37 miles from Le Marquis De La Guintre. This property is also rated for the best value in Courtils! Guests are getting more for their money when compared to other properties in this city. When would you like to stay at Le Marquis De La Guintre? This family room has a tile/marble floor and toaster. House Rules Le Marquis De La Guintre takes special requests – add in the next step! 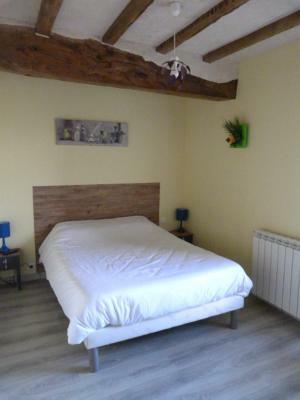 Very good location, close to the Mont Saint-Michel. Tasty breakfast with crepes. Very gracious hosts, roomy and comfortable accommodations, and delicious breakfast! 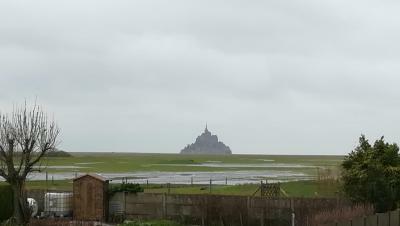 Our family of four was very pleased with our stay and delighted that it had a view of Mont Saint Michel, which is a quick drive away. Thankful that towels and linens were provided. Highly recommend! The pancakes and jam were delicious! 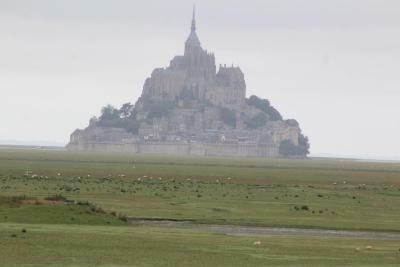 It is very close to Mont Saint Michel. Amazing place, easy to find, quiet and clean. The hosts are great people, we arrived late but they were waiting for us and even organised a dinner with local wine and cheese. 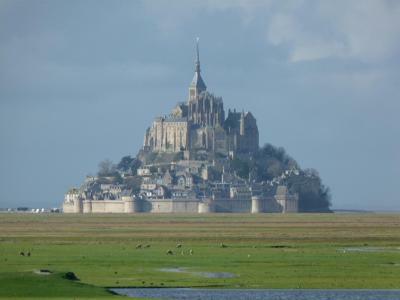 Location was nice but you will need a car to get to your destinations like for example the Mont Saint-Michel. 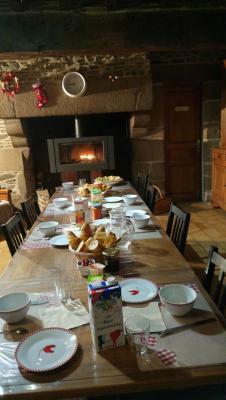 The explanations about the region and what to visit, by the owners of the B&B. 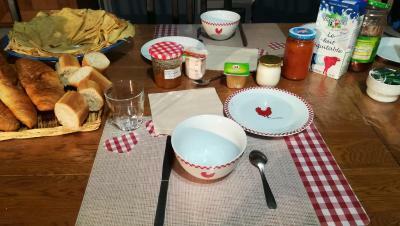 A very nice nice breakfast with local products! Very friendly and professional staff. Spotless clean and spacious room. Beautiful view and amazing breakfast with delicious homemade pancakes and jam. No shampoo in shower but that might be a common thing for a b and b in France. 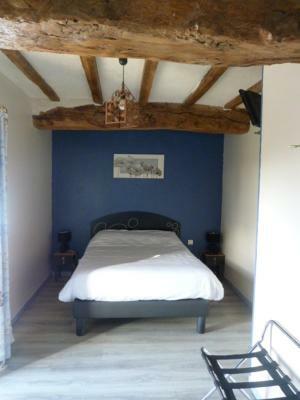 The couple who runs this maison d’hôtes is incredibly sweet and welcoming!! The house is full of charm and authentic, the rooms are neat and comfortable (especially the beds), and the breakfast is amazing!!! 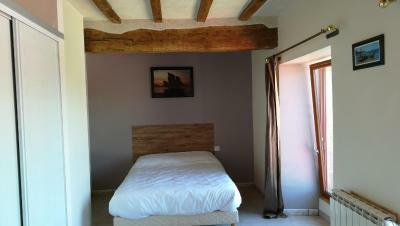 Location is perfect too, very close to le Mont St-Michel. Nothing. Staying at Le Marquis de la Guintre makes our stay pleasant. The info from other reviews is rather misleading: There is no dinner served here unless it's summer. The staff does have a handy list of recommended nearby restaurants though. The breakfast is OK.
A weird smell in the room and it was too cold.